Due to sustained, steady growth at the McGoff Group over recent years, the Board has secured over 9000sq ft of prestigious office space in Altrincham for a new Head Office. Located just 600 metres away from its current office on Lyon Road, the new office is situated at Altrincham Business Park. The move, which will take place in February 2019, comes after continued growth of the business and follows the recent opening of a central London office. The new office will reflect the nationally recognised brand as well as ensure that the North West remains at the heart of the business, with Manchester among the most vibrant and commercial centres outside of London. 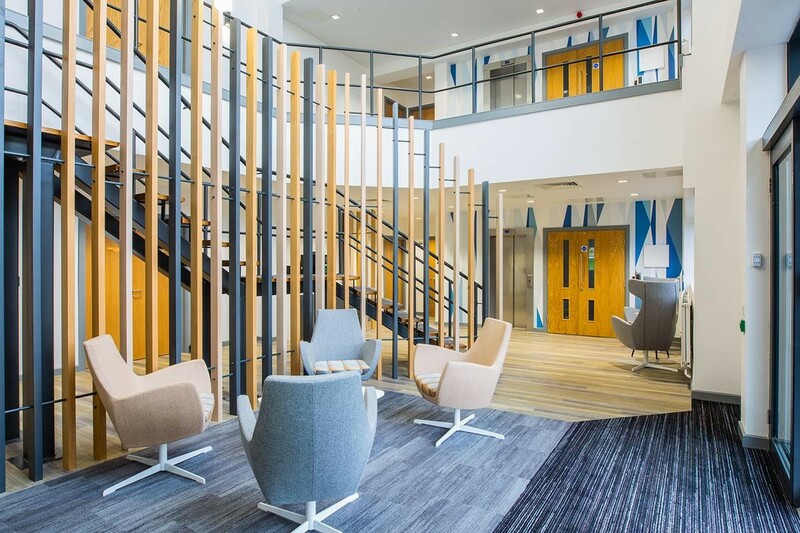 The stylish space has been designed to create an open-plan working environment, which will form the centralised hub for the Group, including Support Function of HR, Recruitment, Finance, Administration and Procurement services. In addition, there will be a dedicated space for our acquisition, design, building and facilities services teams, along with our operating businesses, including New Care, Back to the Garden Childcare and Market 41. The enhanced environment will undoubtedly improve everybody’s working day, boosting productivity even further and foster greater collaboration. As well as the integral fully air conditioned working space, ample meeting rooms and of course parking, the new offices will also include breakout spaces to allow people to work away from their desks and a cafe bar area to allow staff to de-stress and unwind whilst at work in a relaxed and modern environment. Fit out works have started to tailor the new office to the Group’s requirements, creating a bespoke and purpose made space. The Group, which now employs almost 600 individuals, will move from their existing office to the new office in February. For further information on the McGoff Group, please call 0161 927 2940 or visit www.mcgoffgroup.com.